'Partition' is a beautifully descriptive word for dividing up a disk. Sadly for me, these days Microsoft talks of 'Volumes' rather than 'Partitions'. Launch Windows 8's Computer Management, and then select Disk Management. To get started on this quest just type 'Computer' at the Metro-style UI. System Reserved: This is a special 100 MB volume created when Windows 8 is installed, its purpose is to hold the System files securely. The setup routine takes care of marking this partition primary as well as active. Perhaps the main reason why Microsoft creates this System Reserved volume – separate from the C drive – is because here is where BitLocker stores encryption information safely. System (Partition): Observe the word 'System' in the Status column, it contains the Boot Manager code (bootmgr) and the Boot Configuration Database. Note: boot.ini and ntldr have been superseded in Vista and later Windows operating systems. Key Point: Even on multi-boot machines there is only one system partition. Select: 'Shrink Volume'. See screenshot right. Windows 8 displays: Querying Shrink Space. Enter the amount of space to shrink. Follow Through: Create a new volume from the resulting free space. Just right-click the green block that appears in Disk Manager. To install a second operating system and thus dual-boot. To separate your application data from the operating system's files. To store files that you share with other users separately. To hold all your downloads in one area. A special place where you synchronize files with the cloud. Most of these reasons are just a matter of preference, some are not even 'best practice'. While I talk of a new partition, Microsoft's terminology is of a New Simple Volume. The good news is it's intuitive to create, just right-click in the green area of free space. Select the first item on the drop-down menu. A partition, sometimes also called a volume, is an area on a hard disk that can be formatted with a file system and identified with a letter of the alphabet. For example, drive C on most Windows computers is a partition. 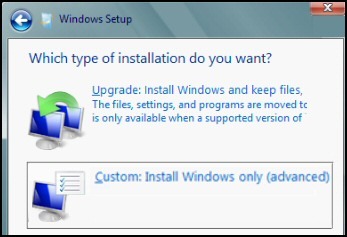 If you are reusing an old Vista machine, then you may wish to start with a clean machine, and this involves reformatting or even deleting partitions. New – For your new partition. Delete – Zap the existing partition, remember this means you lose all that data! Format – Again, all data will be deleted! When Windows 8 employs Disk Management to create partitions on a basic disk, the first three partitions are primary partitions. Should you need more, the fourth partition is created as an extended partition; in this light blue area you can create an unlimited number of extra Logical Drives. An extended partition is a work-around to break the 4 primary partition rule. 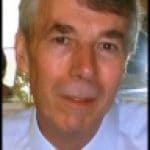 Logical drives store data in the same way as primary partitions, but they cannot be used to start an operating system. Microsoft does a good job of color coding the different types of partition. In case you were wondering, each disk can have 3 primary and one logical partition. 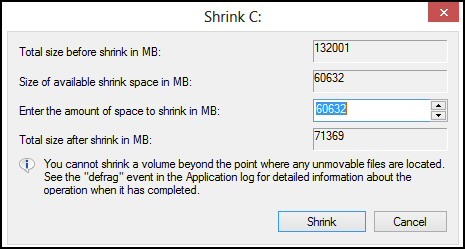 Take the time to understand Windows 8's volumes and you will be rewarded by shrinking the C drive if you have a compelling reason to create another volume.